Nonstarchy veggies—like asparagus, peppers and mushrooms—are packed with vitamins and minerals, yet low in calories and carbohydrate. 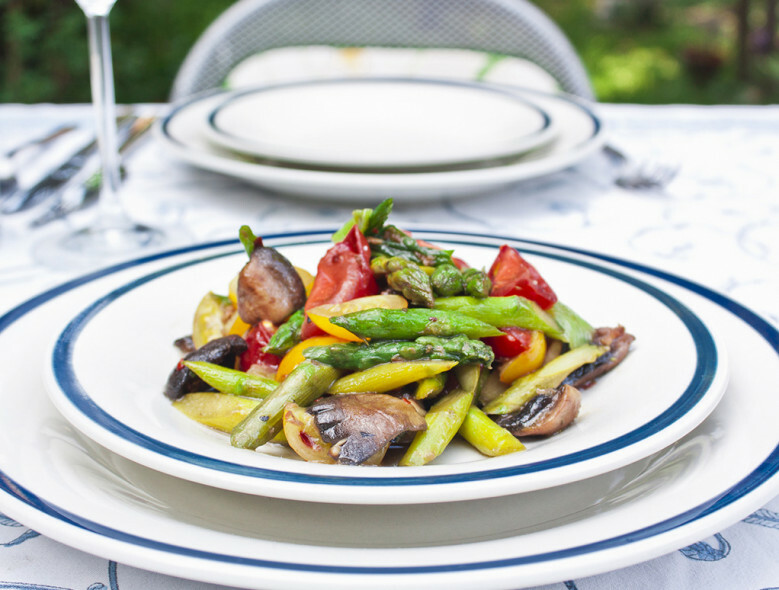 Use simple, delicious ideas like this recipe to fill half your plate with nonstarchy veggies! Heat olive oil in a large sauté pan or wok over medium-high heat. Add asparagus, onion, mushrooms and red pepper and cook for 15-18 minutes, stirring frequently. Add garlic to pan and cook for 1 minute. Stir vegetables and garlic to incorporate.